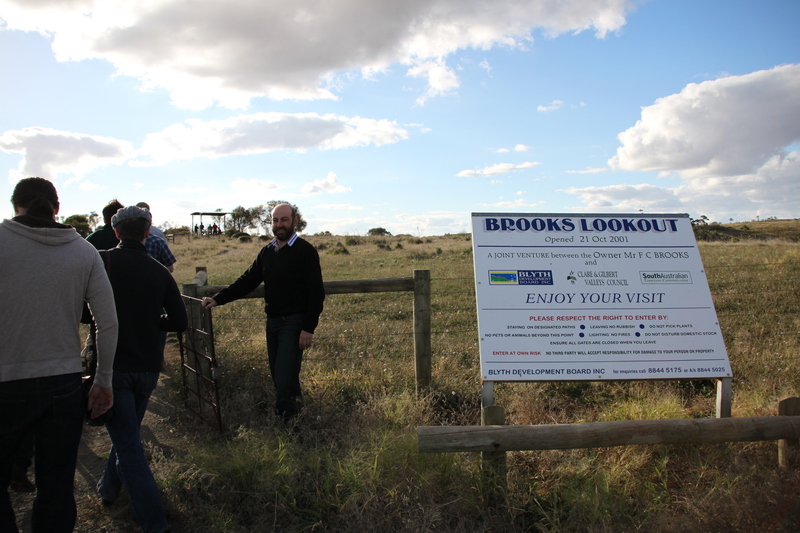 Upon arrival in Clare Valley, we headed to a spot overlooking the region. It was lovely to be greeted by the setting sun and top Clare Valley winemakers after a long day of traveling. 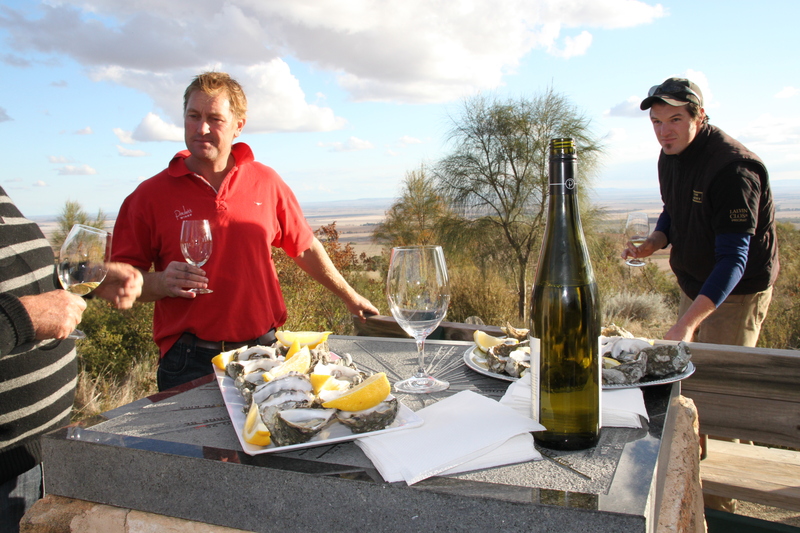 At this point on the trip, we were 2 for 2 when it came to hilltop oysters. This time the pairing was Riesling instead of Semillon. Winemaker from Paulett's with slate in his hands. 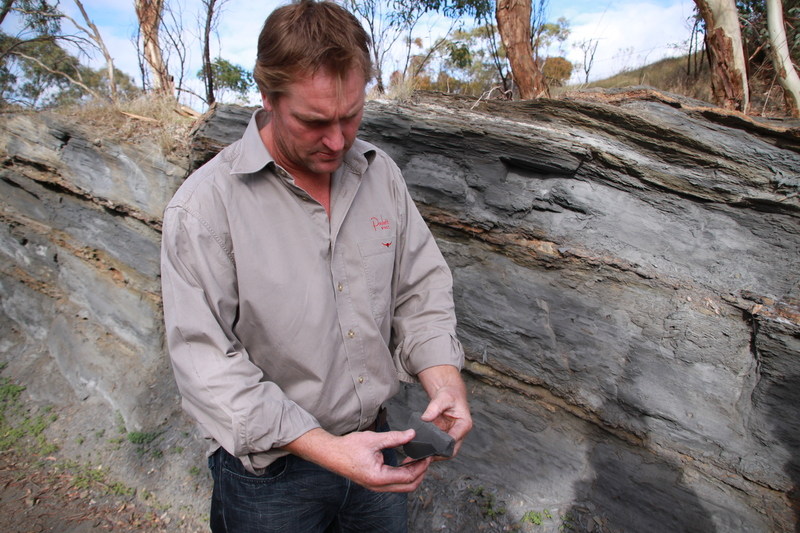 Friable and plentiful, this soil contributes to the flavor of the Clare Valley Rieslings. 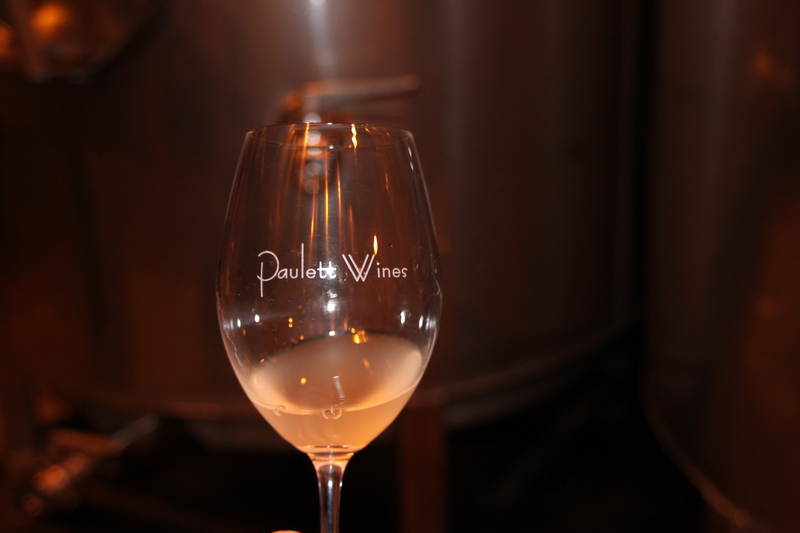 While visiting the Paulett winery, we had the opportunity to sample 2 different Riesling clones, grown and processed under the same conditions. Distinct aromatic and flavor differences were evident in the two tank samples we tried, despite the shared vintage year and winemaking techniques. Stay tuned for Jesuits, giant spiders, kangaroos, koalas and more.